Welcome to the BoBunny Design Team December Blog Hop! This is our final BoBunny Design Team Blog hop. Over the past several months we have had this design team blog hop to help you learn more about our BoBunny Design Team. Today five of the BoBunny Designers are sharing a little bit more about themselves and their paper crafting style on their personal blogs to help you get to know them better. As you begin the blog hop here on the BoBunny blog, you will see a question next to each designer's name. Click on their name to visit each of the designer's blogs and look for the answer to their question. Collect the correct answer to each of the questions and enter them below using the Rafflecopter widget for your chance to win. And the more options you complete, the more chances you have of winning! One lucky winner will be randomly selected to receive an amazing Modern Miss and Blossoms Prize Package!!! Here are some sneak peeks of the amazing projects they have created using BoBunny Blossoms that you will find as you hop along today! What is Rhonda's favorite color to scrap? What does Romy study in school? What is Solange's favorite scrapbook technique? How many dogs does Tracee have? When did Ulrika make this altered box? This is the amazing Modern Miss and Blossoms Prize Package that BoBunny has put together for one lucky winner! It is a $50 value and includes 1 Modern Miss Collection Pack, 1 package of BoBunny Blossoms in Buttercup Bouquet, Wildberry Dahlia, Wildberry Daisy, Denim Blue Pansy, and Buttercup Zinnia, as well as 1 package of Wildberry Lace and Buttercup Lace. Who doesn't want to win this prize?! To enter all you have to do is following the instructions on the Rafflecopter widget below. The more options you complete, the more chances you have to win! This is really a stunning prize and I love all the posts from the blog hop! mammozza, I'm sorry. I guess Solange scheduled her blogpost a bit late. Please come back and try a bit later! Thank you for playing along. Great blog hop. Beautiful DT work. Keep smiling one and all. I have used Bo Bunny blossoms on pages and I love this package! So many pretty things I could use! Take a chance! Thank you for another opportunity to win some! nice blog hop! lots of inspiration! thank you for the chance to win! I have not created anything using BoBunny's Blossoms, but I would love to give it a try. Lovely prize package. I do believe that I have used BoBunny blossoms on scrapbook pages in the past. I use flowers quite a lot. Sorry, there was a problem with the programming of posting on my blog, but I now I fixed it. I would love to use BoBunny's Blossoms, which I have not used before. Modern Miss and Blossoms Prize Package does look amazing! Thank you for the giveaway. I enjoyed the blog hop, it's like meeting new friends. Thanks for the awesome giveaway and for all the tips and Technics on the other blogs cant wait to try them out. Wonderful prize package...but loved seeing all the creations and having some ideas to use for my own projects !! Thanks again, Bo Bunny to the rescue !!! What a super fun blog hop!! Loved all the projects and the wonderful Bo Bunny products they used. Fabulous projects from the Design team! thanks for the chance to win! Love this prize pack! Thanks for a chance to win! Unfortunatley, I have not had the chance to play with Bo Bunny blossoms. I LOVE all Bo Bunny prodcuts and waiting for the new lines to hit the stores! I love the crackel paint projects - i will have to try this! Bo Bunny makes beautiful products. They are fun to work with and make beautiful projects! I have not used the blossoms but will look for them next time I'm at the store! Great way to get to know the team! Thanks for the chance to win. No I haven't had the honor of using BO BUNNY Blossoms but would love to ! Love getting to know some of the DT's!!!! and seeing all the great projects!!! I would love to use this collection!!! Loved the hop so many Beautiful projects. I almost forgot to come back because I got lost in looking at other posts from the designers. I haven't created anything with this line . . . . .yet!!! But if I win, you can bet I will! Great blog hop. Loved all the ideas. All the ladies showed us such beautiful projects. Thank you for a chance to win your beautiful give away! Bo Bunny has the best blossoms to use on their awesome papers! Gorgeous projects on the blog hop! Modern Miss was my favorite new line. Thanks for the chance to win it! 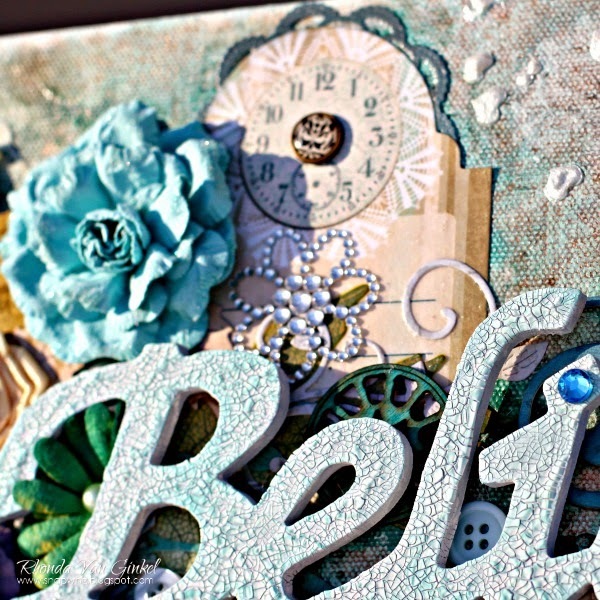 I liked this "blog hop" alot.. quite easy, fun and learned a little bit about some nice new crafters.. Thanks for the chance to get to know them and win some goodies!!! I appreciate it.. L.r. Smith on fb. Always like this bloghop! All the best! Haven't used any yet but would love to win this and try them. No, not yet. But seeing all this inspiration, I will! love the colorful paper, blossoms and lace! I have used BoBunny ever since I began scrap booking! Would love to win! Love these projects! I love bo bunny blossoms and have used them on cards and scrapbook pages as well as headbands for my twins!! Thanks for a great blog hop! I have not used Blossoms yet but would love to. Beautiful projects... no, I have not used them. Not that I have all of this inspiration, I would love to! Love BoBunny embellishments - would love to win more! Thanks for the chance to win. I do not have any BoBunny embellishments. would love to have some. I have watched many designers using your products. Very nice stuff!!!! Thanks so much for featuring some of your uber-talented designers! I haven't yet created anything with the Blossoms YET, but I sure feel inspired to now, having seen the work of all these wonderful artists :) Thank you so much for the chance to win this amazing prize package. A very inspirational blog hop! You have some talented designers. And I love BoBunny stuff. Beautiful colors and combinations. I haven't use blossoms but I love how they look on canvas! What an awesome prize and I really love all the dt members' projects!! WTG! I love your blossoms and try to use them every chance i get! I love that they're so thick with many layers of petals! Thanks so much for the chance to win this awesome prize! Your DT made absolutely beautiful work! Wow so many gorgeous projects! TFS girls!! I have used some BoBunny blossoms, love how they coordinate with your papers, buttons etc. Crossing my fingers for the chance to win! These are all such lovely projects by the DT gals. Thanks for the chance to win such a fantastic give away! I haven't gotten any of the Bo Bunny blossoms yet. I am dying to pick some up! This was different from any other blog hop I've ever participated in. It was quite fun and I learned something about each designer that you might not have learned otherwise. I have not used Bo Bunny blossoms yet but they are just gorgeous!! Wow! Such inspiration. I love the flower pot decor piece by Solange! I haven't had a chance to try your blossoms yet but I LOVE flowers! Gorgeous gorgeous projects from the DT and a fun hop! I don't believe I've had the opportunity to create anything with Bo Bunny blossoms yet, but these projects are inspirational - thank you! Love the blossoms and everyone's projects! I am really lovin' the new blossoms and the projects - such inspirations! I haven't created anything with Bo bunny blossoms yet but they are gorgeous and I'd love to give them a go. I have really enjoyed getting to know the talented BoBunny design team a little better. Thank all of you for sharing your beautiful creations with us!!!! Such a flowery blog hop. Loved it! I love learning all the different techniques. Thank you!! Beautiful projects to inspire & a nice way to get to know the members of BB's design team. Haven't had the chance to use the blossoms yet but the inspiration on the blog hop was wonderful! Everyone made great projects and I am loving the home décor inspiration! I enjoyed the blog hop and getting to know the designers better!! Thanks for the awesome inspirations! Gorgeous projects!! Everyone is soo talented and inspiring. very great ideas and techniques, I love it, thank you Bo Bunny and all the girls!! Thank you for the contest, the projects are great! great hop, wonderful artwork and great prizes. thank you for this blog hop, super inspiring projects. I love your blossoms, they are beautiful!! I have not used them before but am looking forward to checking them out!! I have not had the opportunity to use the product yet. They look beautiful though! I have not used bo bunny blossoms yet... thank you for the fabulous ideas in the blog hop! I adore your blogspot and have had so much fun doing your monthly challenges. In fact, it one of the challenges got me past a blocked period! And, of course, I LOVE your collections! Thanks Bo Bunny! I have created several things with Bo Bunny blossoms...mini album, wall hanging and several layouts! I've never had the chance to craft with Bo Bunny blossoms but would love the chance! Loved the quiz it was fun and such beautiful projects! Thanks would be great to win and create with Bo Bunny! Delightful projects, and fun to visit the blogs! I have not yet made any items with Bo Bunny blossoms, but I hope to very soon! They're lovely! Hi, I haven't yet created anything with the bo bunny blossoms, but I would love the opportunity to try. Thanks for the chance to win. Love all the blossoms in this set. Blossoms always make me think of spring. I just love the projects, that shoebox is calling to me as I have several saved up waiting for some lovin', also got a great idea for a page from the "Believe" sign. Thank you for your great opportunity for a prize, but even more for the creative ideas you share. It was wonderful seeing all of the awesome projects! Thanks for the tour of the blogs and thank you very much for the chance to win this awesome prize! I haven't used any of the Bo Bunny Blossoms as yet but I have used Bo Bunny Paper lines before. Thanks so much I do enjoy all the projects that are posted on your blog. I don't think that I have used the blossoms yet but I love Bobunnys other products. i would love to work with these blooms, i will have to search for a retailer in the UK. all the beautiful ideas in the blog are a win on their own right, thanks for the beautiful ideas and for the chance to win! PS I want a pretty shoebox now! I enjoy the blog hopping and meeting all the bloggers. I especailly liked their "artwork" and reading about who they are and what they enjoy most about scrapbooking. Some beautiful projects on the blog! Fan of BoBunny and can't wait for some of the new 2014 products from CHA to arrive... I have some BoBunny blossomes, I just haven't used them yet! Beautiful products, would love to win. Looking forward to seeing more items at Scrapbook Expo in Milwaukee. I haven't had the pleasure of creating with the blossoms although they are beautiful!!!! Would love a chance to make something fabulous with this collection!!!!! Iove all the endless possibilities to create stunning designs with the blossoms.I will use them forever. I have saved my BoBunny Paper. I have made some mini albums but have not used this particular paper. I do not live close to a store and the stores I do have access to when I get there don't always carry the whole line. I tweeted but it's in my husband's name;) I figure one tweet account is enough and I'm sure he 'really' appreciates all the craft sites I put in his name. lol. I like this bloghop! A nice idea to get to know the designers! Great hop and awesome prize! Thanks for the chance to win!